In addition, many Focus ST buyers are young, with 32 percent under 35, compared with 22 percent of non-ST Focus owners. And they have higher incomes, with an average annual salary of $127,000, compared with $67,000 for non-ST Focus customers. The Focus ST is helping to boost sales of other Ford models, drawing customers to showrooms who then buy a different Ford model, most often a Fusion sedan or Escape utility, said John Felice, vice president, U.S. Marketing, Sales and Service, citing anecdotal evidence from dealers. "It's having the kind of halo effect for other vehicles we'd hoped for when we invested in the ST brand," said Felice. "We continue to build through word-of-mouth and terrific reviews. As an affordable high-performance vehicle that can serve double duty as a daily driver, it has no equal." Ford recently launched the Fiesta ST, the second vehicle in its ST lineup. With a 197-horsepower 1.6-liter EcoBoost® engine and EPA-estimated highway mileage rating of 35 mpg, Fiesta ST essentially has no direct competition in its price range. Focus ST, Ford's first global performance car, integrates advanced and sport-oriented technologies previously unavailable to North American customers. The combination of these technologies into a refined yet high-performance sport compact elevates the category and further cements Focus as the most complete compact car range sold in North America. Part of the buying experience for both Focus ST and Fiesta ST owners is complimentary precision driving instruction at Miller Motorsports Park in Toole, Utah; the exclusive experience includes classroom instruction as well as karting and autocross driving lessons from Miller's professional instructors. Focus ST offers Recaro® sport seats, unique 18-inch Y-spoke ST wheels, dual-zone climate control, Xenon headlights and leather appointments throughout the cabin. Its superior chassis rigidity aids the suspension in providing a firm, but quiet and controlled ride. The instrument cluster features ST-unique sport gauges with red needle pointers to monitor turbo boost, oil pressure and oil temperature levels. Advanced technology such as available SYNC® with MyFord Touch® are available for Focus ST, along with a Sony® Audio System, HD Radio™ and 10-speaker surround sound. 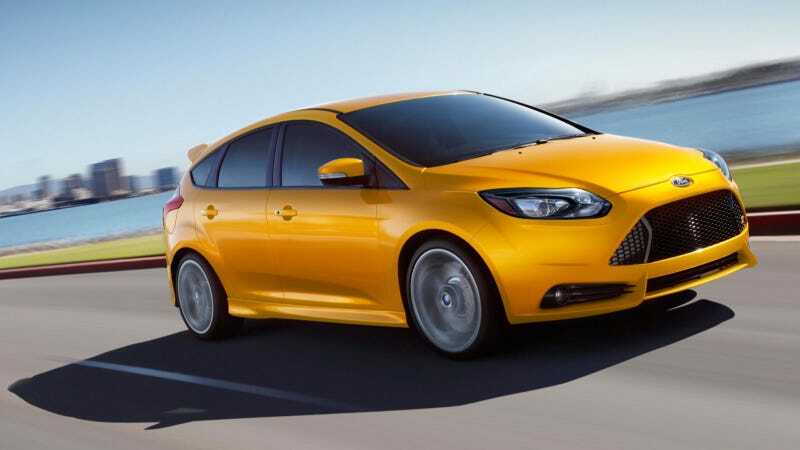 Customers interested in Focus ST build and pricing options should visithttp://www.ford.com/cars/focus/foc…. More information regarding Focus ST can be found at http://www.ford.com/cars/focus/foc… or on Facebook at https://www.facebook.com/OfficialFordST.